Rachel began her training with the Royal Academy of Dance syllabus, achieving her Advanced R.A.D certification. She continued her training under Li Yaming, founder and director of Coastal City Ballet in Vancouver, Canada. Van Buskirk is a co-founder and dancer in Atlanta dance company, Terminus Modern Ballet Theatre. She danced professionally with Atlanta Ballet for 13 years and has been commissioned as a guest artist with various other companies. 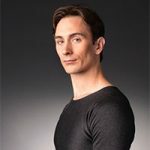 Professional highlights include North American premieres of David Bintley’s Carmina Burana as the principal lead “Fortuna”, Liam Scarlett’s Vespertine, and the world premiere of Lauri Stallings’s big with Big Boi from Outkast. Some of her favorite roles include “Lucy” in Micheal Pink’s Dracula, “Autumn” in James Kedulka’s Four Seasons, and the duet in Ohad Naharin’s Minus 16. Other works that were features include Ohad Naharin’s Secus, Alexei Ratmanksy’s Seven Sonatas, Alex Eckman’s Cacti and Christopher Wheeldhon’s Rush. Rachel was nominated and the cover girl for Dance Magazine’s 2012’s “25 to Watch,” named a “30 Under 30” by ArtsATL and was a recipient of a Non-profit Leadership Award by Young Nonprofit Professionals Network. In addition to her dance career, Rachel is a passionate educator and mentor having taught at Atlanta Ballet’s Centre for Dance Education Pre-Professional Division and co-directed its Professional Summer Intensive. She is currently pursuing a Business Degree in Economics at Georgia State University with the goal to help provide for artists and their arts.